Now, let’s apply the same theory to grief. For many people, particularly in the Western world, the word ‘grief’ brings to mind pain and lots of uncomfortable, to say the least, physical sensations and emotions. Again, because we have language we have opinions about which emotions and physical sensations we would rather feel. We usually want the ‘good’ kind of emotions like happiness and joy, so our relationship to grief is sourced from a preference not to feel pain, sadness, anger, or all the emotions that arise when one grieves. When they do arise, we actually end up adding to our suffering by resisting the experience of our grief. 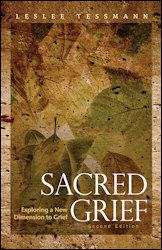 However, in some countries—particularly in Eastern cultures—the word grief evokes something completely different. Instead, it symbolizes an energy that heals, honors what’s happening in the present moment, and opens one’s heart to an experience that includes love and joy as much as pain and suffering. Same word or experience, yet two different relationships and experiences. The key point to what I’ve just described is that because we have language, we can create whatever kind of relationship we want to anything, anyone, at anytime—including grief. So, if we use words such as “sacred,’ ‘friend,’ or ‘trusted friend,’ our experience of grief and its healing process becomes completely altered. The gift of making a conscious choice about how we are going to relate to our grief is the expansion and opening up of our hearts and lives to life. We take a magnificent leap of faith into the unknown of a new relationship to healing. Are you ready to take that kind of leap of faith? If not, what’s holding you back from trusting yourself and life? Al-Anon and AA meetings and retreats. Her authentic, straight-forward expression of life before and after recovery was appreciated and acknowledged by audiences. 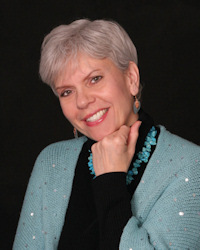 Over time she went on to create and facilitate classes that dealt with working with life on life’s terms, a large part of what Sacred Grief is all about. Previous Previous post: Gaining Positive May 2011 posted!